One StarShipSofa segment I have come to particularly enjoy is David Raiklen’s SciFi Soundtracks. David plays excerpts from selected soundtracks (films as well as television shows and now video games) and points out the notable characteristics of each bit of music. His comments help an unsophisticated ear understand how a composition or performance influences the associated story. That increases my appreciation for the soundtracks I hear. Posted on Sunday, April 4th, 2010. September 2010 – Be warned: in this post I proudly join those quoted below in exploding past the sense of shame a normal person might feel when begging people to vote for them in a popularity contest! Fear not, science fiction fans – the future’s big enough for all of us. Anyway, hearty congratulations to StarShipSofa and all the other Hugo award winners and nominees. I look forward to reading (or, yes, listening to) those I haven’t already read. As you might deduce from my recent reviews, I’ve been listening to a lot of podcasts recently. I’ve discovered that the world of genre fiction podcasts is a happening place. These aren’t second-string stories: you can hear current work from good authors. Getting published in audio form on a popular podcast is getting published, period, if many authors’ bibliographies are any indication. Some podcasts, like Escape Pod, are even paying markets (modest though they may be). In short, what started as a way to pass time at the laundromat has blossomed into enthusiasm for the form, despite my occasional difficulty paying attention to the noise in my ears. One podcast, StarShipSofa, is particularly special. It’s an “Audio Science Fiction Magazine” that features nonfiction articles, interviews, editorials, and other material in addition to the bedrock content of interesting stories. It’s all tied together by host Tony C. Smith, and produced with the help of a team of volunteers. It’s a community effort that keeps you abreast of what’s happening in the SF community. For that reason, there is a grassroots campaign underway to get the StarShipSofa nominated for a 2010 Hugo Award for Best Fanzine. Awards are just awards, but the reader-bestowed Hugo Awards really are a pretty big deal. A podcast has never been on the ballot for a Hugo in any category, but a growing number of StarShipSofa contributors and community members argue that the time is nigh to recognize the role shows like the Sofa play in sustaining the genre. One of the greatest programs out there comes together from all over the globe every single week because of nothing but love. And whether you’re a contributor or listener, you’re a part of that. If that’s not a fanzine, there’s no such thing as a fanzine. If the Sofa never wins an award it will still have achieved something unique in all of science fiction history: It will have been our home. But let’s win an award anyway. Before getting involved with StarShipSofa, I never read genre magazines or went to cons or anything – I just bought lots and lots of novels that I read quietly in my basement “and washed my hands afterwards” (to misquote Robert Heinlein). Now I am writing promo blurbs, narrating short stories, doing audio reports, emailing/ blogging/ friending/ tweeting all over the place, and working on the show’s next book project. Kind of makes you want to get involved. I’m not presently in a position to pony up the nomination dues, but I’m going to keep listening to the StarShipSofa, and perhaps one day I will wander down to the spaceport and ship out. Posted on Saturday, February 20th, 2010. 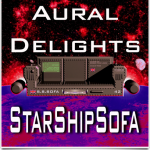 I recently listened to StarShipSofa Aural Delights #119, featuring the first “Old School versus New School” showdown. This feature presents two stories, one from contemporary times and one from the Golden Age of science fiction. Listeners are polled on the podcast website, and the story that wins the most votes will be announced as the favorite in a future episode. The comparison provides an interesting structure for the show. 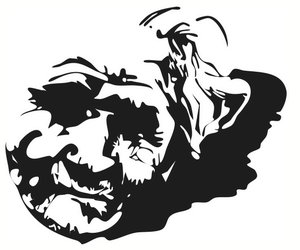 This week, the old school story was The Last Evolution by John W. Campbell, Jr. The new school story was Knotwork by Nina Kiriki Hoffman. I wasn’t sure what to expect. 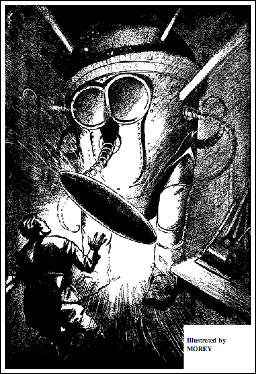 I’m familiar with and fond of the work of authors I consider progenitors of the genre: Jules Verne, H. G. Wells, and later writers credited as Golden Age authors, including Arthur C. Clarke, Isaac Asimov, and Ray Bradbury. I was therefore surprised to find that I detested The Last Evolution. (The full text is available for free at Project Gutenberg). I enjoy stories of all stripes, so why did this one provoke such a negative reaction? The problem here is not in the details of the science deployed in support of the story; it’s that there are no details, the science consists of the pursuit of some hand-wavy “Ultimate Energy”, and that the story simply isn’t compelling. I find The Last Evolution guilty of that most threadbare indictment of science fiction, which is that it’s all about gee-whiz robots and spaceships, coupled with a nerd’s neglect of the social elements that make stories meaningful and memorable. In general, I reject that characterization of the genre, but in this case I think the stereotype is accurate. The Last Evolution describes the final superiority of machines over mankind in a fight against alien invaders. Questions about machine intelligence are genre staples today, so Campbell deserves credit for addressing the subject in his time. Nevertheless, our resilience customarily provides some reassurance in parables about humanity’s fate. No such flattery is present in The Last Evolution. Perhaps I am just hurt that Campbell finds support for the null hypothesis; after all, there is strong pro-human publication bias in science fiction written for a human audience. The plot reminds me of an escalating playground argument. Imagine two small boys playing with toy soldiers, countering each claim of victory with unexplained declarations of invulnerability or improved weaponry. This is how the competitive evolution of new machines is described in The Last Evolution. Each iteration is more capable, according to vague allusions to greater strength and sophistication, but there is no convincing differentiation between generations. Here is a very specific complaint: the words “machine” and “beam” are overused. (The word “machine” occurs 103 times and the word “beam” occurs 53 times.) These are poor substitutes for more engaging descriptions of the robot technologies central to the story. I found it exasperating to hear about yet another machine equipped with yet another beam. There are a few human characters, but they exist mainly to deliver some cardboard “oh no; now we are all nearly dead” dialogue in lieu of a decent elegy. I take a dim view of the unmitigated conclusion that technology obviates biology. I accept that a key function of science fiction is to explore provocative premises, but I take a dim view of the unmitigated conclusion that technology obviates biology. A species’ fitness depends on its environment, so a mechanical race won’t necessarily occupy the same niche as the human race. Of course, alien death beams ultimately eliminate every human niche, leaving behind an environment that is indeed only fit for machines. So, there is some logic to the plot – but there isn’t any heart. So what of the second story, Knotwork? Its presence in the podcast demonstrates the inclusive breadth of today’s science fiction spectrum. The Last Evolution is all about machines and their god damned beams, whereas Knotwork is all about people and their feelings. There is an otherworldly kink to the plot, but it emerges gradually in service to the story. I liked it. The titular thread-and-pencil mojo of Knotwork might seem more like fantasy than the technological extrapolation typically associated with science fiction. True, but science fiction stories aren’t necessarily about science. The label derives from the setting; in many cases, “engineering fiction” would be a more accurate label, as it is novel technology, not the facilitating science, that motivates or constrains the plot. The science content in popular subgenres such as space opera is often so far removed from current understanding that it might as well be magic. Think about a story as an instance of the scientific method at work. A what-if hypothesis is proposed in the circumstances or the choices of the characters. The plot unfolds, as an experiment, from these initial conditions. Observations are made and conclusions are drawn – or left open for future research and reading to resolve. Repeat, and bit by bit understanding accumulates. It is not a quantitative method, but replicated findings gain authority, divergent interpretations indicate interesting problems, and, occasionally, we are rewarded with serendipitous insights. In Knotwork, the science is in the storytelling. What can you learn about yourself by imagining what would happen if you pulled the strings? Science fiction makes this experimental model explicit in its setting, as does all speculative fiction, but stories of any genre can pose questions and pursue answers. This is what science fiction has taught me to recognize and appreciate in all literature. In Knotwork, the science is in the storytelling. What can you learn about yourself by imagining what would happen if you pulled the strings? 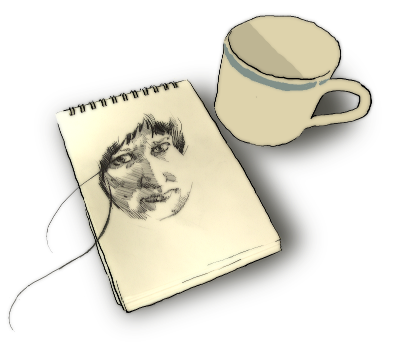 Plus, as someone who likes to doodle, I am partial to the idea that there is a power beyond mere representation in the marks that make up a drawing. I might even argue that there is a bit of real magic. Posted on Tuesday, February 9th, 2010.